The Canary Islands (/kəˈnɛəri/; Spanish: Islas Canarias, pronounced [ˈizlas kaˈnaɾjas]) is a Spanish archipelago and the southernmost autonomous community of Spain located in the Atlantic Ocean, 100 kilometres (62 miles) west of Morocco at the closest point. The Canary Islands, which are also known informally as the Canaries, are among the outermost regions (OMR) of the European Union proper. It is also one of the eight regions with special consideration of historical nationality recognized as such by the Spanish Government. The Canary Islands belong to the African Plate like the Spanish cities of Ceuta and Melilla, the two on the African mainland. The seven main islands are (from largest to smallest in area) Tenerife, Fuerteventura, Gran Canaria, Lanzarote, La Palma, La Gomera and El Hierro. The archipelago includes much smaller islands and islets: La Graciosa, Alegranza, Isla de Lobos, Montaña Clara, Roque del Oeste and Roque del Este. It also includes a series of adjacent roques (those of Salmor, Fasnia, Bonanza, Garachico and Anaga). In ancient times, the island chain was often referred to as "the Fortunate Isles". The Canary Islands are the most southerly region of Spain and the largest and most populated archipelago of the Macaronesia region. Historically, the Canary Islands have been considered a bridge between four continents: Africa, North America, South America and Europe. The archipelago's beaches, climate and important natural attractions, especially Maspalomas in Gran Canaria and Teide National Park and Mount Teide (a World Heritage Site) in Tenerife (the third tallest volcano in the world measured from its base on the ocean floor), make it a major tourist destination with over 12 million visitors per year, especially Tenerife, Gran Canaria, Fuerteventura and Lanzarote. The islands have a subtropical climate, with long hot summers and moderately warm winters. The precipitation levels and the level of maritime moderation vary depending on location and elevation. Green areas as well as desert exist on the archipelago. Due to their location above the temperature inversion layer, the high mountains of these islands are ideal for astronomical observation. For this reason, two professional observatories, Teide Observatory on the island of Tenerife and Roque de los Muchachos Observatory on the island of La Palma, have been built on the islands. In 1927, the Province of Canary Islands was split into two provinces. The autonomous community of the Canary Islands was established in 1982. Its capital is shared by the cities of Santa Cruz de Tenerife and Las Palmas de Gran Canaria, which in turn are the capitals of the provinces of Santa Cruz de Tenerife and Las Palmas. Las Palmas de Gran Canaria has been the largest city in the Canaries since 1768, except for a brief period in the 1910s. Between the 1833 territorial division of Spain and 1927 Santa Cruz de Tenerife was the sole capital of the Canary Islands. In 1927 a decree ordered that the capital of the Canary Islands be shared, as it remains at present. The third largest city of the Canary Islands is San Cristóbal de La Laguna (a World Heritage Site) on Tenerife. This city is also home to the Consejo Consultivo de Canarias, which is the supreme consultative body of the Canary Islands. During the time of the Spanish Empire, the Canaries were the main stopover for Spanish galleons on their way to the Americas, which came south to catch the prevailing northeasterly trade winds. The name Islas Canarias is likely derived from the Latin name Canariae Insulae, meaning "Islands of the Dogs", a name that was applied only to Gran Canaria. According to the historian Pliny the Elder, the Mauretanian king Juba II named the island Canaria because it contained "vast multitudes of dogs of very large size". Alternatively, it is said that the original inhabitants of the island, Guanches, used to worship dogs, mummified them and treated dogs generally as holy animals. The ancient Greeks also knew about a people, living far to the west, who are the "dog-headed ones", who worshipped dogs on an island. Some hypothesize that the Canary Islands dog-worship and the ancient Egyptian cult of the dog-headed god, Anubis are closely connected but there is no explanation given as to which one was first. Other theories speculate that the name comes from the Nukkari Berber tribe living in the Moroccan Atlas, named in Roman sources as Canarii, though Pliny again mentions the relation of this term with dogs. The connection to dogs is retained in their depiction on the islands' coat-of-arms. It is considered that the aborigines of Gran Canaria called themselves "Canarios". It is possible that after being conquered, this name was used in plural in Spanish, i.e., as to refer to all of the islands as the Canarii-as. What is certain is that the name of the islands does not derive from the canary bird; rather, the birds are named after the islands. Hacha Grande, a mountain in the south of Lanzarote, viewed from the road to the Playa de Papagayo. Tenerife is the largest and most populous island of the archipelago. Gran Canaria, with 865,070 inhabitants, is both the Canary Islands' second most populous island, and the third most populous one in Spain after Majorca. The island of Fuerteventura is the second largest in the archipelago and located 100 km (62 mi) from the African coast. The islands form the Macaronesia ecoregion with the Azores, Cape Verde, Madeira, and the Savage Isles. The Canary Islands is the largest and most populated archipelago of the Macaronesia region. The archipelago consists of seven large and several smaller islands, all of which are volcanic in origin. According to the position of the islands with respect to the north-east trade winds, the climate can be mild and wet or very dry. 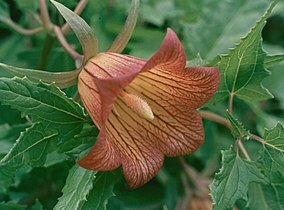 Several native species form laurisilva forests. As a consequence, the individual islands in the Canary archipelago tend to have distinct microclimates. Those islands such as El Hierro, La Palma and La Gomera lying to the west of the archipelago have a climate which is influenced by the moist Canary Current. They are well vegetated even at low levels and have extensive tracts of sub-tropical laurisilva forest. As one travels east toward the African coast, the influence of the current diminishes, and the islands become increasingly arid. Fuerteventura and Lanzarote, the islands which are closest to the African mainland, are effectively desert or semi desert. Gran Canaria is known as a "continent in miniature" for its diverse landscapes like Maspalomas and Roque Nublo. In terms of its climate Tenerife is particularly interesting. The north of the island lies under the influence of the moist Atlantic winds and is well vegetated, while the south of the island around the tourist resorts of Playa de las Americas and Los Cristianos is arid. The island rises to almost 4,000 m (13,000 ft) above sea level, and at altitude, in the cool relatively wet climate, forests of the endemic pine Pinus canariensis thrive. Many of the plant species in the Canary Islands, like the Canary Island pine and the dragon tree, Dracaena draco are endemic, as noted by Sabin Berthelot and Philip Barker Webb in their epic work, L'Histoire Naturelle des Îles Canaries (1835–50). The climate is subtropical and desertic, moderated by the sea and in summer by the trade winds. 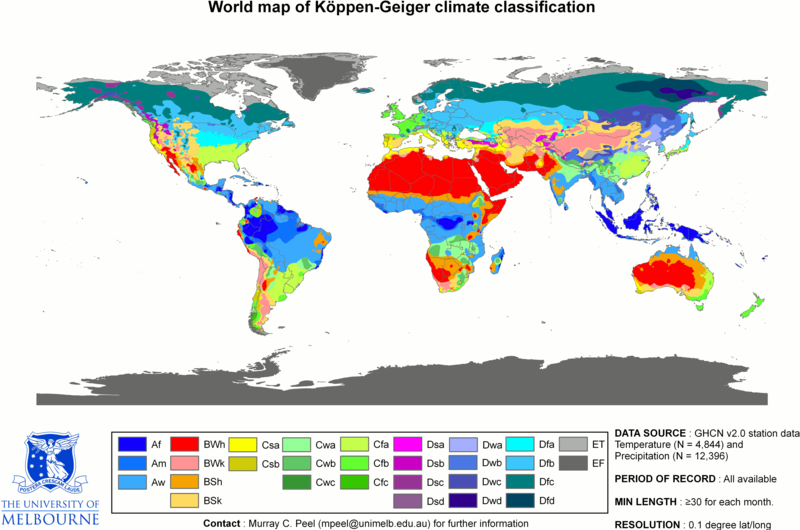 There are a number of microclimates and the classifications range mainly from semi-arid to desert. According to the Köppen climate classification, the majority of the Canary Islands have a hot desert climate represented as BWh. There also exists a subtropical humid climate which is very influenced by the ocean in the middle of the islands of La Gomera, Tenerife and La Palma; where the laurisilva forests grow. The seven major islands, one minor island, and several small islets were originally volcanic islands, formed by the Canary hotspot. The Canary Islands is the only place in Spain where volcanic eruptions have been recorded during the Modern Era, with some volcanoes still active (El Hierro, 2011). Volcanic islands such as those in the Canary chain often have steep ocean cliffs caused by catastrophic debris avalanches and landslides. The Teide volcano on Tenerife is the highest mountain in Spain, and the third tallest volcano on Earth on a volcanic ocean island. All the islands except La Gomera have been active in the last million years; four of them (Lanzarote, Tenerife, La Palma and El Hierro) have historical records of eruptions since European discovery. The islands rise from Jurassic oceanic crust associated with the opening of the Atlantic. Underwater magmatism commenced during the Cretaceous, and reached the ocean's surface during the Miocene. The islands are considered as a distinct physiographic section of the Atlas Mountains province, which in turn is part of the larger African Alpine System division. In the summer of 2011 a series of low-magnitude earthquakes occurred beneath El Hierro. These had a linear trend of northeast-southwest. In October a submarine eruption occurred about 2 km (1 1⁄4 mi) south of Restinga. This eruption produced gases and pumice, but no explosive activity was reported. 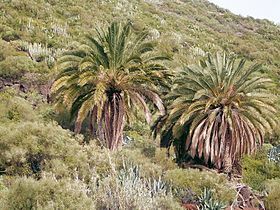 The official natural symbols associated with Canary Islands are the bird Serinus canaria (canary) and the Phoenix canariensis palm. Caldera de Taburiente National Park (La Palma): Created in 1954, it was declared a World Biosphere Reserve in 2002. It covers an area of 46.9 km2 (18.1 sq mi). 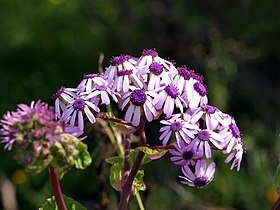 Garajonay National Park (La Gomera): Created in 1981, it was declared in 1986 a World Heritage Site. Its area is 3986 hectares at the core and some areas north of the island. Timanfaya National Park (Lanzarote): Created in 1974, it was declared a Biosphere Reserve in 1993, together with the whole island. Occupies an area of 51.07 km2 (19.72 sq mi), is located in the southwest of the island. 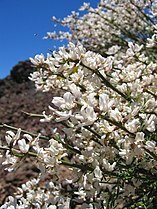 Teide National Park (Tenerife): Created in 1954, it was declared a World Heritage Site in 2007. It covers an area of 18,990 hectares, is the oldest and largest national park in the Canary Islands and one of the oldest in Spain. The Teide in 2010 became the most visited national park in Europe and second worldwide. Located in the geographic center of the island is the most visited National Park in Spain. The highlight is the Teide at 3,718 meters altitude, the highest elevation of the country and the third largest volcano on Earth from its base. Teide National Park was declared in 2007 as one of the 12 Treasures of Spain. The islands have 13 seats in the Spanish Senate. Of these, 11 seats are directly elected, 3 for Gran Canaria, 3 for Tenerife, 1 for each other island; 2 seats are indirectly elected by the regional Autonomous Government. The local government is presided over by Fernando Clavijo, the current President of the Canary Islands. The Autonomous Community of the Canary Islands consists of two provinces (provincias), Las Palmas and Santa Cruz de Tenerife, whose capitals (Las Palmas de Gran Canaria and Santa Cruz de Tenerife) are capitals of the autonomous community. Each of the seven major islands is ruled by an island council named Cabildo Insular. Each island is subdivided into smaller municipalities (municipios); Las Palmas is divided into 34 municipalities, and Santa Cruz de Tenerife is divided into 54 municipalities. The international boundary of the Canaries is the subject of dispute between Spain and Morocco. Morocco's official position is that international laws regarding territorial limits do not authorise Spain to claim seabed boundaries based on the territory of the Canaries, since the Canary Islands enjoy a large degree of autonomy. In fact, the islands do not enjoy any special degree of autonomy as each one of the Spanish regions is considered an autonomous community with equal status to the European ones. Under the Law of the Sea, the only islands not granted territorial waters or an exclusive economic zone (EEZ) are those that are not fit for human habitation or do not have an economic life of their own, which is not the case of the Canary Islands. The boundary determines the ownership of seabed oil deposits and other ocean resources. Morocco and Spain have been unable to agree on a compromise regarding the territorial boundary, since neither nation wants to cede its claimed right to the vast resources whose ownership depends upon the boundary. In 2002, for example, Morocco rejected a unilateral Spanish proposal. There are some pro-independence political parties, like the National Congress of the Canaries (CNC) and the Popular Front of the Canary Islands, but these parties are non-violent, and their popular support is almost insignificant, with no presence in either the autonomous parliament or the cabildos insulares. According to "Centro de Investigaciones Sociológicas" (Sociological Research Center) in 2010, 43.5% of the population of the Canary Islands feels more Canarian than Spanish (37.6%), of which 7.6% only Canarian, compared to 5.4% that feels more Spanish than Canarian (2.4%) or only Spanish (3%). The most popular choice was of those who feel equally Spanish and Canarian, with 49.9%. With these data, one of the Canary recorded levels of identification with higher autonomy from Spain. Before the arrival of humans, the Canaries were inhabited by prehistoric animals; for example, the giant lizard (Gallotia goliath), the Tenerife and Gran Canaria giant rats, and giant prehistoric tortoises, Geochelone burchardi and Geochelone vulcanica. The islands may have been visited by the Phoenicians, the Greeks, and the Carthaginians. King Juba II, Caesar Augustus's Numidian protégé, is credited with discovering the islands for the Western world. According to Pliny the Elder, Juba found the islands uninhabited, but found "a small temple of stone" and "some traces of buildings". Juba dispatched a naval contingent to re-open the dye production facility at Mogador in what is now western Morocco in the early first century AD. That same naval force was subsequently sent on an exploration of the Canary Islands, using Mogador as their mission base. When the Europeans began to explore the islands in the late Middle Ages, they encountered several indigenous peoples living at a Neolithic level of technology. Although the prehistory of the settlement of the Canary Islands is still unclear, linguistic and genetic analyses seem to indicate that at least some of these inhabitants shared a common origin with the Berbers on the nearby North African coast. The precolonial inhabitants came to be known collectively as the Guanches, although Guanches had been the name for only the indigenous inhabitants of Tenerife. From the 14th century onward, numerous visits were made by sailors from Majorca, Portugal and Genoa. Lancelotto Malocello settled on Lanzarote in 1312. The Majorcans established a mission with a bishop in the islands that lasted from 1350 to 1400. In 1402, the Castilian conquest of the islands began, with the expedition of the French explorers Jean de Béthencourt and Gadifer de la Salle, nobles and vassals of Henry III of Castile, to Lanzarote. From there, they went on to conquer Fuerteventura (1405) and El Hierro. Béthencourt received the title King of the Canary Islands, but still recognised King Henry III as his overlord. It was not a simple military enterprise, given the aboriginal resistance on some islands. Neither was it politically, since the particular interests of the nobility (determined to strengthen their economic and political power through the acquisition of the islands) conflicted with those of the states, particularly Castile, which were in the midst of territorial expansion and in a process of strengthening of the Crown against the nobility. Aristocratic conquest (Conquista señorial). This refers to the early conquests carried out by the nobility, for their own benefit and without the direct participation of the Crown of Castile, which merely granted rights of conquest in exchange for pacts of vassalage between the noble conqueror and the Crown. One can identify within this period an early phase known as the Betancurian or Norman Conquest, carried out by Jean de Bethencourt (who was originally from Normandy) and Gadifer de la Salle between 1402 and 1405, which involved the islands of Lanzarote, El Hierro and Fuerteventura. The subsequent phase is known as the Castilian Conquest, carried out by Castilian nobles who acquired, through purchases, assignments and marriages, the previously conquered islands and also incorporated the island of La Gomera around 1450. Royal conquest (Conquista realenga). This defines the conquest between 1478 and 1496, carried out directly by the Crown of Castile, during the reign of the Catholic Monarchs, who armed and partly financed the conquest of those islands which were still unconquered: Gran Canaria, La Palma and Tenerife. This phase of the conquest came to an end in the year 1496, with the dominion of the island of Tenerife, bringing the entire Canarian Archipelago under the control of the Crown of Castile. Casa de Colón (Las Palmas de Gran Canaria), which Christopher Columbus visited during his first trip. Béthencourt also established a base on the island of La Gomera, but it would be many years before the island was fully conquered. 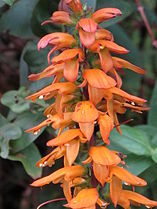 The natives of La Gomera, and of Gran Canaria, Tenerife, and La Palma, resisted the Castilian invaders for almost a century. In 1448 Maciot de Béthencourt sold the lordship of Lanzarote to Portugal's Prince Henry the Navigator, an action that was accepted by neither the natives nor the Castilians. Despite Pope Nicholas V ruling that the Canary Islands were under Portuguese control, the crisis swelled to a revolt which lasted until 1459 with the final expulsion of the Portuguese. In 1479, Portugal and Castile signed the Treaty of Alcáçovas, which settled disputes between Castile and Portugal over the control of the Atlantic. This treaty recognized Castilian control of the Canary Islands but also confirmed Portuguese possession of the Azores, Madeira, and the Cape Verde islands, and gave the Portuguese rights to any further islands or lands in the Atlantic that might be discovered. The Castilians continued to dominate the islands, but due to the topography and the resistance of the native Guanches, they did not achieve complete control until 1496, when Tenerife and La Palma were finally subdued by Alonso Fernández de Lugo. After that, the Canaries were incorporated into the Kingdom of Castile. Maps of the Canary Islands drawn by William Dampier during his voyage to New Holland in 1699. After the conquest, the Castilians imposed a new economic model, based on single-crop cultivation: first sugarcane; then wine, an important item of trade with England. In this era, the first institutions of colonial government were founded. Gran Canaria, a colony of the Crown of Castile since 6 March 1480 (from 1556, of Spain), and Tenerife, a Spanish colony since 1495, each had its own governor. The cities of Santa Cruz de Tenerife and Las Palmas de Gran Canaria became a stopping point for the Spanish conquistadors, traders, and missionaries on their way to the New World. This trade route brought great prosperity to some of the social sectors of the islands. The islands became quite wealthy and soon were attracting merchants and adventurers from all over Europe. Magnificent palaces and churches were built on La Palma during this busy, prosperous period. The Church of El Salvador survives as one of the island's finest examples of the architecture of the 16th century. The Canaries' wealth invited attacks by pirates and privateers. Ottoman Turkish admiral and privateer Kemal Reis ventured into the Canaries in 1501, while Murat Reis the Elder captured Lanzarote in 1585. The most severe attack took place in 1599, during the Dutch Revolt. A Dutch fleet of 74 ships and 12,000 men, commanded by Pieter van der Does, attacked the capital Las Palmas de Gran Canaria (the city had 3,500 of Gran Canaria's 8,545 inhabitants). The Dutch attacked the Castillo de la Luz, which guarded the harbor. The Canarians evacuated civilians from the city, and the Castillo surrendered (but not the city). The Dutch moved inland, but Canarian cavalry drove them back to Tamaraceite, near the city. The Dutch then laid siege to the city, demanding the surrender of all its wealth. They received 12 sheep and 3 calves. Furious, the Dutch sent 4,000 soldiers to attack the Council of the Canaries, who were sheltering in the village of Santa Brígida. 300 Canarian soldiers ambushed the Dutch in the village of Monte Lentiscal, killing 150 and forcing the rest to retreat. The Dutch concentrated on Las Palmas de Gran Canaria, attempting to burn it down. The Dutch pillaged Maspalomas, on the southern coast of Gran Canaria, San Sebastián on La Gomera, and Santa Cruz on La Palma, but eventually gave up the siege of Las Palmas and withdrew. In 1618 the Barbary pirates attacked Lanzarote and La Gomera taking 1000 captives to be sold as slaves. Another noteworthy attack occurred in 1797, when Santa Cruz de Tenerife was attacked by a British fleet under Horatio Nelson on 25 July. The British were repulsed, losing almost 400 men. It was during this battle that Nelson lost his right arm. Amaro Pargo (1678–1741), corsair and merchant from Tenerife who participated in the Spanish treasure fleet (the Spanish-American trade route). 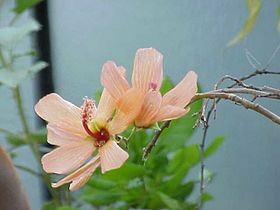 The sugar-based economy of the islands faced stiff competition from Spain's Caribbean colonies. Low prices in the sugar market in the 19th century caused severe recessions on the islands. 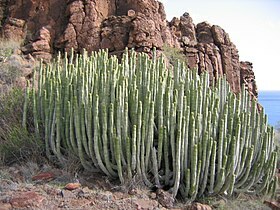 A new cash crop, cochineal (cochinilla), came into cultivation during this time, saving the islands' economy. 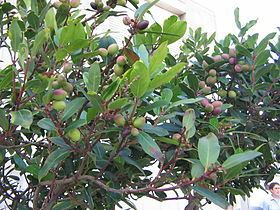 During this time the Canarian-American trade was developed, in which Canarian products such as cochineal, sugarcane and rum are sold in American ports, such as Veracruz, Campeche, La Guaira and Havana among others. By the end of the 18th century, Canary Islanders had already emigrated to Spanish American territories, such as Havana, Veracruz, Santo Domingo, San Antonio, Texas and St. Bernard Parish, Louisiana. These economic difficulties spurred mass emigration, primarily to the Americas, during the 19th and first half of the 20th century. Between 1840 and 1890 as many as 40,000 Canary Islanders emigrated to Venezuela. Also, thousands of Canarians moved to Puerto Rico where the Spanish monarchy felt that Canarians would adapt to island life better than other immigrants from the mainland of Spain. Deeply entrenched traditions, such as the Mascaras Festival in the town of Hatillo, Puerto Rico, are an example of Canarian culture still preserved in Puerto Rico. Similarly, many thousands of Canarians emigrated to the shores of Cuba. During the Spanish–American War of 1898, the Spanish fortified the islands against a possible American attack, but no such event took place. J. Edens, whose 1715 ascent and observations of Mt. Teide influenced many subsequent expeditions. Louis Feuillée (1724), who was sent to measure the meridian of El Hierro and to map the islands. the Baudin-Ledru expedition (1796) which aimed to recover a valuable collection of natural history objects. Sirera and Renn identify the period 1770–1830 as one in which "In a panorama dominated until that moment by France and England enters with strength and brio Germany of the Romantic period whose presence in the islands will increase". The port of Las Palmas in 1912. At the beginning of the 20th century, the British introduced a new cash-crop, the banana, the export of which was controlled by companies such as Fyffes. The rivalry between the elites of the cities of Las Palmas de Gran Canaria and Santa Cruz de Tenerife for the capital of the islands led to the division of the archipelago into two provinces in 1927. This has not laid to rest the rivalry between the two cities, which continues to this day. During the time of the Second Spanish Republic, Marxist and anarchist workers' movements began to develop, led by figures such as Jose Miguel Perez and Guillermo Ascanio. However, outside of a few municipalities, these organisations were a minority and fell easily to Nationalist forces during the Spanish Civil War. In 1936, Francisco Franco was appointed General Commandant of the Canaries. He joined the military revolt of 17 July which began the Spanish Civil War. Franco quickly took control of the archipelago, except for a few points of resistance on La Palma and in the town of Vallehermoso, on La Gomera. Though there was never a war in the islands, the post-war suppression of political dissent on the Canaries was most severe. During the Second World War, Winston Churchill prepared plans for the British seizure of the Canary Islands as a naval base, in the event of Gibraltar being invaded from the Spanish mainland. Opposition to Franco's regime did not begin to organise until the late 1950s, which experienced an upheaval of parties such as the Communist Party of Spain and the formation of various nationalist, leftist parties. After the death of Franco, there was a pro-independence armed movement based in Algeria, the Movement for the Independence and Self-determination of the Canaries Archipelago (MAIAC). In 1968, the Organisation of African Unity recognized the MAIAC as a legitimate African independence movement, and declared the Canary Islands as an African territory still under foreign rule. After the establishment of a democratic constitutional monarchy in Spain, autonomy was granted to the Canaries via a law passed in 1982, with a newly established autonomous devolved government and parliament. In 1983, the first autonomous elections were held. The Spanish Socialist Workers' Party (PSOE) won. In the 2007 elections, the PSOE gained a plurality of seats, but the nationalist Canarian Coalition and the conservative Partido Popular (PP) formed a ruling coalition government. At present, the Canary Islands is the only autonomous community in Spain that has two capitals: Santa Cruz de Tenerife and Las Palmas de Gran Canaria, since the Statute of Autonomy of the Canary Islands was created in 1982. The political capital of the archipelago does not exist as such until the nineteenth century. The first cities founded by the Europeans at the time of the conquest of the Canary Islands in the 15th century were: Telde (in Gran Canaria), San Marcial del Rubicón (in Lanzarote) and Betancuria (in Fuerteventura). These cities boasted the first European institutions present in the archipelago, including Catholic bishoprics. Although, because the period of splendor of these cities developed before the total conquest of the archipelago and its incorporation into the Crown of Castile never had a political and real control of the entire Canary archipelago. Overview of Las Palmas de Gran Canaria. View of Santa Cruz de Tenerife. The function of a Canarian city with full jurisdiction for the entire archipelago only exists after the conquest of the Canary Islands, although originally De facto, that is, without legal and real meaning and linked to the headquarters of the Canary Islands General Captaincy. Las Palmas de Gran Canaria was the first city that exercised this function. This is because the residence of the Captain General of the Canary Islands was in this city during part of the sixteenth and seventeenth centuries. In May 1661, the Captain General of the Canary Islands, Jerónimo de Benavente y Quiñones, moved the headquarters of the captaincy to the city of San Cristóbal de La Laguna on the island of Tenerife. This was due to the fact that this island since the conquest was the most populated, productive and with the highest economic expectations. La Laguna would be considered the De facto capital of the archipelago until mid the official status of the capital of Canary Islands in the city of Santa Cruz de Tenerife was confirmed in the 19th century, due in part to the constant controversies and rivalries between the bourgeoisies of San Cristóbal de La Laguna and Las Palmas de Gran Canaria for the economic, political and institutional hegemony of the archipelago. Already in 1723 the Captain General of the Canary Islands Lorenzo Fernandez de Villavicencio had moved the headquarters of the General Captaincy of the Canary Islands from San Cristóbal de La Laguna to Santa Cruz de Tenerife. This decision continued without pleasing the society of the island of Gran Canaria. It would be after the creation of the Province of Canary Islands in November 1833 in which Santa Cruz would become the first fully official capital of the Canary Islands (De jure and not of De facto as happened previously). Santa Cruz de Tenerife would be the capital of the Canary archipelago until during the Government of General Primo de Rivera in 1927 the Province of Canary Islands was split in two provinces: Las Palmas with capital in Las Palmas de Gran Canaria, and Santa Cruz de Tenerife with capital in the homonymous city. Finally, with the Statute of Autonomy of the Canary Islands in 1982 and the creation of the Autonomous Community of the Canary Islands, the capital of the archipelago between Las Palmas de Gran Canaria and Santa Cruz de Tenerife is fixed, which is how it remains today. The Canary Islands have a population of 2,127,685 inhabitants (2018), making it the eighth most populous of Spain's autonomous communities, with a density of 282.6 inhabitants per square kilometre. The total area of the archipelago is 7,493 km2 (2,893 sq mi). The Canarian population includes long-tenured residents and new waves of mainland Spanish immigrants, as well as Moroccan, Colombian, Venezuelan and Italian. Of the total Canarian population in 2009 (2,098,593) 1,799,373 were Spanish and 299,220 foreigners. Of these, the majority from the Americas, mainly Colombians (34,210), Venezuelans (31,468), Cubans (11,098) and Dominicans (10,159). There are also 51,136 African residents, mostly Moroccans (39,847). The Roman Catholic branch of Christianity has been the majority religion in the archipelago for more than five centuries, ever since the Conquest of the Canary Islands. However, there are other religious communities. The overwhelming majority of native Canarians are Roman Catholic (85%) with various smaller foreign-born populations of other Christian beliefs such as Protestants from northern Europe. The appearance of the Virgin of Candelaria (Patron of Canary Islands) was credited with moving the Canary Islands toward Christianity. Two Catholic saints were born in the Canary Islands: Peter of Saint Joseph de Betancur and José de Anchieta. Both born on the island of Tenerife, they were respectively missionaries in Guatemala and Brazil. Diócesis Canariense: Includes the islands of the Eastern Province: Gran Canaria, Fuerteventura and Lanzarote. Its capital was San Marcial El Rubicón (1404) and Las Palmas de Gran Canaria (1483–present). There was a previous bishopric which was based in Telde, but it was later abolished. Diócesis Nivariense: Includes the islands of the western province: Tenerife, La Palma, La Gomera and El Hierro. Its capital is San Cristóbal de La Laguna (1819–present). Separate from the overwhelming Christian majority are a minority of Muslims. Among the followers of Islam, the Islamic Federation of the Canary Islands exists to represent the Islamic community in the Canary Islands as well as to provide practical support to members of the Islamic community. Other religious faiths represented include Jehovah's Witnesses, The Church of Jesus Christ of Latter-day Saints as well as Hinduism. Minority religions are also present such as the Church of the Guanche People which is classified as a neo-pagan native religion. Also present are Buddhism, Judaism, Baha'i, Afro-American religion, and Chinese religions. Ordered from west to east, the Canary Islands are El Hierro, La Palma, La Gomera, Tenerife, Gran Canaria, Fuerteventura and Lanzarote. In addition, north of the latter are the island of La Graciosa, the islets of Montaña Clara, Alegranza, Roque del Este and Roque del Oeste, belonging to the Chinijo Archipelago, and northeast of Fuerteventura is the islet of Lobos. There are also a series of small adjacent rocks in the Canary Islands: the Roques de Anaga, Garachico and Fasnia in Tenerife, and those of Salmor and Bonanza in El Hierro. El Hierro, the westernmost island, covers 268.71 km2 (103.75 sq mi), making it the smallest of the major islands, and the least populous with 10,798 inhabitants. The whole island was declared Reserve of the Biosphere in 2000. Its capital is Valverde. Also known as Ferro, it was once believed to be the westernmost land in the world. Fuerteventura, with a surface of 1,660 km2 (640 sq mi), is the second-most extensive island of the archipelago. It has been declared a Biosphere reserve by Unesco. It has a population of 113,275. Being also the most ancient of the islands, it is the one that is more eroded: its highest point is the Peak of the Bramble, at a height of 807 metres (2,648 feet). Its capital is Puerto del Rosario. Gran Canaria has 846,717 inhabitants. The capital, Las Palmas de Gran Canaria (377,203 inhabitants), is the most populous city and shares the status of capital of the Canaries with Santa Cruz de Tenerife. Gran Canaria's surface area is 1,560 km2 (600 sq mi). In center of the island lie the Roque Nublo 1,813 metres (5,948 feet) and Pico de las Nieves ("Peak of Snow") 1,949 metres (6,394 feet). In the south of island are the Maspalomas Dunes (Gran Canaria), these are the biggest tourist attractions. La Gomera has an area of 369.76 km2 (142.77 sq mi) and is the second least populous island with 21,136 inhabitants. Geologically it is one of the oldest of the archipelago. The insular capital is San Sebastian de La Gomera. Garajonay's National Park is located on the island. Lanzarote is the easternmost island and one of the most ancient of the archipelago, and it has shown evidence of recent volcanic activity. It has a surface of 845.94 km2 (326.62 sq mi), and a population of 149,183 inhabitants, including the adjacent islets of the Chinijo Archipelago. The capital is Arrecife, with 56,834 inhabitants. The Chinijo Archipelago includes the islands La Graciosa, Alegranza, Montaña Clara, Roque del Este and Roque del Oeste. It has a surface of 40.8 km2 (15.8 sq mi), and a population of 658 inhabitants all of them on La Graciosa. With 29 km2 (11 sq mi), La Graciosa, is the smallest inhabited island of the Canaries, and the major island of the Chinijo Archipelago. La Palma, with 81,863 inhabitants covering an area of 708.32 km2 (273.48 sq mi), is in its entirety a biosphere reserve. It shows no recent signs of volcanic activity, even though the volcano Teneguía entered into eruption last in 1971. In addition, it is the second-highest island of the Canaries, with the Roque de los Muchachos 2,423 metres (7,949 feet) as highest point. Santa Cruz de La Palma (known to those on the island as simply "Santa Cruz") is its capital. Tenerife is, with its area of 2,034 km2 (785 sq mi), the most extensive island of the Canary Islands. In addition, with 904,713 inhabitants it is the most populated island of the archipelago and Spain. Two of the islands' principal cities are located on it: The capital, Santa Cruz de Tenerife and San Cristóbal de La Laguna (a World Heritage Site). San Cristóbal de La Laguna, the second city of the island is home to the oldest university in the Canary Islands, the University of La Laguna. The Teide, with its 3,718 metres (12,198 feet) is the highest peak of Spain and also a World Heritage Site. Tenerife is the site of the worst air disaster in the history of aviation, in which 583 people were killed in the collision of two Boeing 747s on 27 March 1977. The economy is based primarily on tourism, which makes up 32% of the GDP. The Canaries receive about 12 million tourists per year. Construction makes up nearly 20% of the GDP and tropical agriculture, primarily bananas and tobacco, are grown for export to Europe and the Americas. 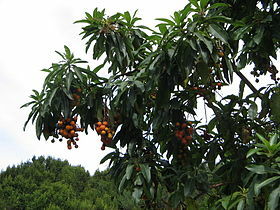 Ecologists are concerned that the resources, especially in the more arid islands, are being overexploited but there are still many agricultural resources like tomatoes, potatoes, onions, cochineal, sugarcane, grapes, vines, dates, oranges, lemons, figs, wheat, barley, maize, apricots, peaches and almonds. The economy is € 25 billion (2001 GDP figures). The islands experienced continuous growth during a 20-year period, up until 2001, at a rate of approximately 5% annually. This growth was fueled mainly by huge amounts of Foreign Direct Investment, mostly to develop tourism real estate (hotels and apartments), and European Funds (near €11 billion euro in the period from 2000 to 2007), since the Canary Islands are labelled Region Objective 1 (eligible for euro structural funds). Additionally, the EU allows the Canary Islands Government to offer special tax concessions for investors who incorporate under the Zona Especial Canaria (ZEC) regime and create more than five jobs. Spain gave permission in August 2014 for Repsol and its partners to explore oil and gas prospects off the Canary Islands, involving an investment of €7.5 billion over four years, to commence at the end of 2016. Repsol at the time said the area could ultimately produce 100,000 barrels of oil a day, which would meet 10 percent of Spain's energy needs. However, the analysis of samples obtained did not show the necessary volume nor quality to consider future extraction, and the project was scrapped. The Canary Islands have great natural attractions, climate and beaches make the islands a major tourist destination, being visited each year by about 12 million people (11,986,059 in 2007, noting 29% of Britons, 22% of Spanish, not residents of the Canaries, and 21% of Germans). Among the islands, Tenerife has the largest number of tourists received annually, followed by Gran Canaria and Lanzarote. The archipelago's principal tourist attraction is the Teide National Park (in Tenerife) where the highest mountain in Spain and third largest volcano in the world (Mount Teide), receives over 2.8 million visitors annually. The combination of high mountains, proximity to Europe, and clean air has made the Roque de los Muchachos peak (on La Palma island) a leading location for telescopes like the Grantecan. The islands, as an autonomous region of Spain, are in the European Union and the Schengen Area. They are in the European Union Customs Union but outside the VAT area, Instead of VAT there is a local Sales Tax (IGIC) which has a general rate of 7%, an increased tax rate of 13.5%, a reduced tax rate of 3% and a zero tax rate for certain basic need products and services. Consequently, some products are subject to additional VAT if being exported from the islands into mainland Spain or the rest of the EU. Canarian time is Western European Time (WET) (or GMT; in summer one hour ahead of GMT). So Canarian time is one hour behind that of mainland Spain and the same as that of the UK, Ireland and Portugal all year round. The Canary Islands have eight airports altogether, two of the main ports of Spain, and an extensive network of autopistas (highways) and other roads. For a road map see multimap. There are large ferry boats that link islands as well as fast ferries linking most of the islands. Both types can transport large numbers of passengers and cargo (including vehicles). Fast ferries are made of aluminium and powered by modern and efficient diesel engines, while conventional ferries have a steel hull and are powered by heavy oil. Fast ferries travel relatively quickly (in excess of 30 kn (56 km/h; 35 mph)) and are a faster method of transportation than the conventional ferry (some 20 kn (37 km/h; 23 mph)). A typical ferry ride between La Palma and Tenerife may take up to eight hours or more while a fast ferry takes about two and a half hours and between Tenerife and Gran Canaria can be about one hour. The largest airport is the Gran Canaria Airport. Tenerife has two airports, Tenerife North Airport and Tenerife South Airport. The island of Tenerife gathers the highest passenger movement of all the Canary Islands through its two airports. The two main islands (Tenerife and Gran Canaria) receive the greatest number of passengers. Tenerife 6,204,499 passengers and Gran Canaria 5,011,176 passengers. The port of Las Palmas is first in freight traffic in the islands, while the port of Santa Cruz de Tenerife is the first fishing port with approximately 7,500 tons of fish caught, according to the Spanish government publication Statistical Yearbook of State Ports. Similarly, it is the second port in Spain as regards ship traffic, only surpassed by the Port of Algeciras Bay. The port's facilities include a border inspection post (BIP) approved by the European Union, which is responsible for inspecting all types of imports from third countries or exports to countries outside the European Economic Area. The port of Los Cristianos (Tenerife) has the greatest number of passengers recorded in the Canary Islands, followed by the port of Santa Cruz de Tenerife. The Port of Las Palmas is the third port in the islands in passengers and first in number of vehicles transported. The SS America was beached at the Canary islands, in the nineties. However, the ocean liner broke apart after the course of several years and eventually sank beneath the surface. The Tenerife Tram opened in 2007 and the only one in the Canary Islands, travelling between the cities of Santa Cruz de Tenerife and San Cristóbal de La Laguna. It is currently planned to have three lines in the Canary Islands (two in Tenerife and one in Gran Canaria). The planned Tren de Gran Canaria railway line will be from Las Palmas de Gran Canaria to Maspalomas (south). Skull of Canariomys bravoi (Tenerife giant rat). It was an endemic species that is now extinct. Before the arrival of the Aborigines, the Canary Islands was inhabited by endemic animals, such as some extinct; giant lizards (Gallotia goliath), giant rats (Canariomys bravoi and Canariomys tamarani) and giant tortoises (Geochelone burchardi and Geochelone vulcanica), among others. Terrestrial fauna includes geckos, wall lizards, and three endemic species of recently rediscovered and critically endangered giant lizard: the El Hierro giant lizard (or Roque Chico de Salmor giant lizard), La Gomera giant lizard, and La Palma giant lizard. Mammals include the Canarian shrew, Canary big-eared bat, the Algerian hedgehog (which may have been introduced) and the more recently introduced mouflon. Some endemic mammals, the lava mouse, Tenerife giant rat and Gran Canaria giant rat, are extinct, as are the Canary Islands quail, long-legged bunting, the eastern Canary Islands chiffchaff and the giant prehistoric tortoises; Geochelone burchardi and Geochelone vulcanica. A loggerhead sea turtle, by far the most common species of marine turtle in the Canary Islands. The marine life found in the Canary Islands is also varied, being a combination of North Atlantic, Mediterranean and endemic species. In recent years, the increasing popularity of both scuba diving and underwater photography have provided biologists with much new information on the marine life of the islands. Fish species found in the islands include many species of shark, ray, moray eel, bream, jack, grunt, scorpionfish, triggerfish, grouper, goby, and blenny. In addition, there are many invertebrate species, including sponge, jellyfish, anemone, crab, mollusc, sea urchin, starfish, sea cucumber and coral. There are a total of five different species of marine turtle that are sighted periodically in the islands, the most common of these being the endangered loggerhead sea turtle. The other four are the green sea turtle, hawksbill sea turtle, leatherback sea turtle and Kemp's ridley sea turtle. Currently, there are no signs that any of these species breed in the islands, and so those seen in the water are usually migrating. However, it is believed that some of these species may have bred in the islands in the past, and there are records of several sightings of leatherback sea turtle on beaches in Fuerteventura, adding credibility to the theory. Marine mammals include the large varieties of cetaceans including rare and not well-known species (see more details in the Marine life of the Canary Islands). Hooded seals have also been known to be vagrant in the Canary Islands every now and then. The Canary Islands were also formerly home to a population of the rarest pinniped in the world, the Mediterranean monk seal. The Dance of the Dwarves is one of the most important acts of the Lustral Festivities of the Bajada de la Virgen de las Nieves in Santa Cruz de La Palma. Dancers with typical costume in El Tamaduste (El Hierro). Band of Agaete in the Traída del Agua (Gran Canaria). Some holidays of those celebrated in the Canary Islands are international and national, others are regional holidays and others are of insular character. The official day of the autonomous community is Canary Islands Day on 30 May. The anniversary of the first session of the Parliament of the Canary Islands, based in the city of Santa Cruz de Tenerife, held on 30 May 1983, is commemorated with this day. 1 January New Year International festival. 6 January Epiphany Catholic festival. March or April Holy Thursday and Holy Friday Christian festival. 1 May International Workers' Day International festival. 30 May Canary Islands Day Day of the autonomous community. Anniversary of the first session of the Parliament of the Canary Islands. 15 August Assumption of Mary Catholic festival. This day is festive in the archipelago as in all of Spain. Popularly, in the Canary Islands it is known as the day on which the is celebrated of Virgin of Candelaria (Saint Patron of the Canary Islands). 12 October Fiesta Nacional de España (Día de la Hispanidad) National Holiday of Spain. Commemoration of discovery of the Americas. 1 November All Saints' Day Catholic festival. 6 December Constitution Day Commemoration of the Spanish constitutional referendum, 1978. 8 December Immaculate Conception Catholic festival. The Immaculate Conception is the Saint Patron of Spain. 25 December Christmas Christian festival. Commemoration of the birth of Jesus of Nazareth. Parade in the Carnival of Santa Cruz de Tenerife. The most famous festivals of the Canary Islands is the carnival. It is the most famous and international festival of the archipelago. The carnival is celebrated in all the islands and all its municipalities, perhaps the two busiest are those of the two Canarian capitals; the Carnival of Santa Cruz de Tenerife (Tourist Festival of International Interest) and the Carnival of Las Palmas de Gran Canaria. It is celebrated on the streets between the months of February and March. But the rest of the islands of the archipelago have their carnivals with their own traditions among which stand out: The Festival of the Carneros of El Hierro, the Festival of the Diabletes of Teguise in Lanzarote, Los Indianos de La Palma, the Carnival of San Sebastián de La Gomera and the Carnival of Puerto del Rosario in Fuerteventura. In the 1960s, Gran Canaria was selected as the location for one of the 14 ground stations in the Manned Space Flight Network (MSFN) to support the NASA space program. Maspalomas Station, located in the south of the island, took part in a number of space missions including the Apollo 11 Moon landings and Skylab. Today it continues to support satellite communications as part of the ESA network. Because of the remote location, a number of astronomical observatories are located in the archipelago, including the Teide Observatory on Tenerife, the Roque de los Muchachos Observatory on La Palma, and the Temisas Astronomical Observatory on Gran Canaria. Heliodoro Rodríguez López Stadium in Tenerife, the stadium with the largest area of field of the Canary Islands. A unique form of wrestling known as Canarian wrestling (lucha canaria) has opponents stand in a special area called a "terrero" and try to throw each other to the ground using strength and quick movements. Another sport is the "game of the sticks" where opponents fence with long sticks. This may have come about from the shepherds of the islands who would challenge each other using their long walking sticks. Furthermore, there is the shepherd's jump (salto del pastor). This involves using a long stick to vault over an open area. This sport possibly evolved from the shepherd's need to occasionally get over an open area in the hills as they were tending their sheep. The two main football teams in the archipelago are: the CD Tenerife (founded in 1912) and UD Las Palmas (founded in 1949). As if the 2018/2019 season, both Tenerife and Las Palmas play in Liga Adelante. When in the same division, the clubs contest the Canary Islands derby. There are smaller clubs also playing in the mainland Spanish football league system, most notably UD Lanzarote and CD Laguna, although no other Canarian clubs have played in the top flight. The mountainous terrain of the Canary Islands also caters to the growing popularity of ultra running and ultramarathons as host of annual competitive long-distance events including Transvulcania on La Palma, Transgrancanaria on Gran Canaria and the Half Marathon des Sables on Fuerteventura. Nicolás García Hemme, born 20 June 1988 in Las Palmas de Gran Canaria, Canary Islands, 2012 London Olympics, Taekwondo Silver Medalist in Men's Welterweight category (−80 kg). Paola Tirados, born in Las Palmas de Gran Canaria in 1980, synchronized swimmer, who participated in the Olympic Games of 2000, 2004 and 2008. She won the silver medal in Beijing in 2008 in the team competition category. Christo Bezuidenhout, born in Tenerife in 1970, played rugby union for Gloucester and South Africa. Tenerife airport disaster; prior to the September 11 attacks, the deadliest commercial aviation disaster in history. ^ "Estatuto de Autonomía de las Islas Canarias en la Página Web Oficial del Gobierno de Canarias". gobiernodecanarias.org. Archived from the original on 20 January 2011. Retrieved 20 September 2010. ^ a b "Otras Disposiciones". Boletín oficial del estado (in Spanish). Ministerio de economía y empresa. 29 December 2018. Archived from the original on 3 March 2016. Retrieved 25 January 2019. ^ a b c d e f g h Suárez, Borja (25 June 2018). "El 91% de los nuevos habitantes de Canarias viene del extranjero". www.canarias7.es. ^ "Sub-national HDI – Area Database – Global Data Lab". hdi.globaldatalab.org. Retrieved 13 September 2018. ^ "GOBIERNO DE CANARIAS :: Reforma del Estatuto de Autonomía de Canarias". 15 May 2006. Archived from the original on 15 May 2006. ^ Tamaimos. "Canarias está en África". tamaimos.com. ^ Benjamin, Thomas (2009). The Atlantic World: Europeans, Africans, Indians and Their Shared HIstory, 1400–1900. Cambridge University Press. p. 107. ISBN 9780521850995. ^ a b "La Macaronesia. Consideraciones geológicas, biogeográficas y paleoecológicas". Archived from the original on 17 November 2015. Retrieved 10 February 2010. ^ "Canarias, un puente entre continentes". Lanacion.com.ar. ^ a b Página web Archived 29 August 2010 at the Wayback Machine del ISTAC sobre entrada de turistas en Canarias. ^ "Canary Islands Weather and Climate". Worldtravelguide.net. Archived from the original on 31 May 2008. Retrieved 21 January 2010. ^ "La población de Canarias se ha multiplicado por trece en los últimos 250 años". Canarias7.es. ^ "La Laguna. Guía turística de Tenerife. 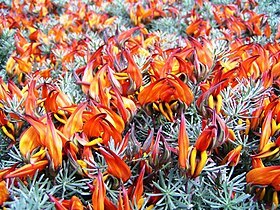 Tenerife, la isla de la eterna primavera". Tenerife2.com. Publiceuta S.L. 5 January 2009. Retrieved 21 January 2010. ^ "2.2.6. Diagnóstico" (PDF). Plan Territorial Especial De Ordenación Del Sistema Viario Del Área Metropolitana De Tenerife (in Spanish). Retrieved 21 January 2010. ^ "Presentación general de la isla". Dracma (in Spanish). Retrieved 21 January 2010. ^ "La Casa Montañés". Consultivodecanarias.org (in Spanish). Consejo Consultivo de Canarias. ^ "1733 Spanish Galleon Trail, Plate Fleets". flheritage.com. Florida Department of State. Retrieved 30 August 2016. ^ "Trade Winds and the Hadley Cell". earthguide.ucsd.edu. Calspace, University of California, San Diego. 24 June 2013. Retrieved 30 August 2016. ^ a b 10 Facts about the Canary Islands – Touropia.com – Retrieved 22 August 2011. ^ Frank Joseph (2005). The Atlantis Encyclopedia. New Page Books. p. 131. ISBN 978-1-56414-795-0. ^ a b COOK, ALICE CARTER (9 July 1900). "THE ABORIGINES OF THE CANARY ISLANDS". American Anthropologist. 2 (3): 451–493. doi:10.1525/aa.1900.2.3.02a00040. ISSN 0002-7294. ^ (Universidad de Las Palmas,) José Mangas Viñuela, "The Canary Islands Hot Spot" This is the source for the geological history that follows. ^ a b "Guía resumida del clima en España (1981–2010)". Archived from the original on 18 November 2012. ^ "Valores Climatológicos Normales. Santa Cruz De Tenerife". Archived from the original on 18 November 2012. ^ "Guía resumida del clima en España (1981–2010)". AEMET (in Spanish). 2010. Archived from the original on 18 November 2012. Retrieved 10 July 2018. ^ "Valores climatológicos normales. La Palma Aeropuerto". ^ "Instituto Geográfico Nacional". Fomento.es. 10 November 1949. Archived from the original on 1 April 2010. Retrieved 26 April 2010. ^ Pararas-Carayannis, G. (2002). "Evaluation of the Threat of Mega Tsunami Generation from Postulated Massive Slope Failure of Island Stratovolcanoes on La Palma, Canary Islands, and on The Island of Hawaii, George". Science of Tsunami Hazards 20 (5): 251–277. ^ a b "El Teide, el parque más visitado de Europa y el segundo del mundo". Diariodeavisos.com. Canaria de Avisos S.A. 30 July 2010. Archived from the original on 26 September 2010. Retrieved 20 September 2010. 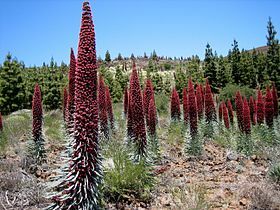 ^ a b "El parque nacional del Teide es el primero más visitado de Europa y el segundo del mundo". Sanborondon.info. Archived from the original on 24 September 2010. Retrieved 20 September 2010. ^ "El Teide (Tenerife) es el parque nacional más visitado de Canarias con 2,8 millones de visitantes en 2008". Europapress.es. 31 August 2009. Retrieved 26 April 2010. ^ "Official Website of Tenerife Tourism Corporation". Webtenerife.com. Archived from the original on 16 January 2010. Retrieved 26 April 2010. ^ "Ley 7/1991, de 30 de abril, de símbolos de la naturaleza para las Islas Canarias – in Spanish". Gobcan.es. 10 May 1991. Retrieved 26 April 2010. ^ "Parques Nacionales de Canarias". Pueblos10.com. Archived from the original on 7 March 2009. Retrieved 26 April 2010. ^ "Gobierno de Canarias". Archived from the original on 11 September 2008. Retrieved 1 September 2008. ^ Herms, Franziska (2006). Alternative Tourism on Gran Canaria: The diversification of tourism products as an alternative to mass tourism. diplom.de. p. 24. ISBN 9783832492816. Retrieved 18 February 2019. ^ Pliny the Elder. "Book 6 Chapter 37". Natural History : 77–79 AD. Translated by Bostock, John. Retrieved 22 April 2017. ^ Hogan, C. Michael. Burnham, Andy (ed.). "Chellah". Megalithic.co.uk. The Megalithic Portal. Retrieved 26 April 2010. ^ "Old World Contacts/Colonists/Canary Islands". Archived from the original on 3 June 2008. ^ Benjamin, Thomas (2009). The Atlantic World: Europeans, Africans, Indians and their shared history, 1400–1900. Cambridge University Press. p. 73. ^ John Mercer, The Canary Islanders: their prehistory, conquest, and survival (1980). ^ John Mercer (1980), The Canary Islanders : their prehistory, conquest, and survival, p. 236, Collings. ^ "El comercio canario-americano en el siglo XVIII (I parte)". Canariascnnews.com. Archived from the original on 7 July 2018. Retrieved 8 November 2017. ^ ""The Spanish of the Canary Islands"". Personal.psu.edu. Retrieved 26 April 2010. ^ ""Handbook of Texas Online – Canary Islanders"". Tshaonline.org. Retrieved 26 April 2010. ^ ""Los Isleños Heritage & Cultural Society website"". Losislenos.org. Retrieved 26 April 2010. ^ ""Isleños Society of St. Bernard Parish"". Americaslibrary.gov. Archived from the original on 7 October 2009. Retrieved 26 April 2010. ^ "The Spanish of the Canary Islands". ^ "Montesinos Sirera, Jose Luis and Jurgen Renn (2004) ''Expeditions to the Canary Islands in the romantic period (1770–1830)''". Humboldt.mpiwg-berlin.mpg.de. Archived from the original on 31 January 2006. Retrieved 26 April 2010. ^ León Álvarez, Aarón. "La represión franquista en Canarias: una guerra de 40 años". 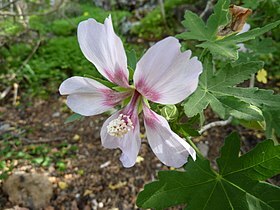 canariasahora (in Spanish). Retrieved 18 January 2017 – via eldiario.es. ^ James B. Minahan (2002), Encyclopedia of the Stateless Nations: Ethnic and National Groups Around the World, p. 377, Greenwood. ^ "Website of the Canaries Parliament". ^ Julio Sánchez Rodríguez. "San Marcial de Rubicón y los obispados de Canarias" (PDF) (in Spanish). Retrieved 24 May 2016. ^ "Archivo Intermedio Militar de Canarias. Gobierno de España" (in Spanish). Archived from the original on 22 February 2017. Retrieved 5 April 2017. ^ "La Diócesis de San Cristóbal de La Laguna en los inicios del siglo XIX: el Obispo Folgueras Sión, el Cabildo Catedral y la jurisdicción eclesiástica" (in Spanish). ^ "Capital de facto de Canarias" (in Spanish). Archived from the original on 5 January 2009. Retrieved 5 April 2017. ^ "Pleito Insular; Autonomía y Nacionalidad". Gran Enciclopedia Virtual Islas Canarias (in Spanish) – via www.gevic.net. ^ "Su Origen". Gran Enciclopedia Virtual Islas Canarias (in Spanish) – via www.gevic.net. ^ "Official census statistics of the Canary Islands population". Gobiernodecanarias.org. Archived from the original on 26 March 2010. Retrieved 26 April 2010. ^ "Censos de Población y Viviendas 2011" (PDF). Ine.es. ^ a b "Canarias – Población 2017". Datosmacro.com. ^ "La población en Canarias" (PDF). Ine.es. ^ "Estadísticas de la Comunidad Autónoma de Canarias". Gobiernodecanarias.org. Archived from the original on 23 March 2010. Retrieved 26 April 2010. ^ a b "ISTAC: Estadísticas de la Comunidad Autónoma de Canarias". Gobiernodecanarias.org. ^ "Native and foreign residents in Canary Islands (Spanish)". Gobiernodecanarias.org. Archived from the original on 26 March 2010. Retrieved 26 April 2010. ^ "Interactivo: Creencias y prácticas religiosas en España". Lavanguardia.com. ^ "Pedro de San José Betancurt, Santo". Es.catholic.net. ^ "José de Anchieta, Santo". Es.catholic.net. ^ a b c d e f g h Tenerife, La Opinión de. "Un 5% de canarios profesa una religión minoritaria". Laopinion.es. ^ Tenerife, La Opinión de. "Los musulmanes de la Isla constituyen la primera Federación Islámica de Canarias". Laopinion.es. ^ "Frecuencias marginales unidimensionales del estudio 2956.5.0". Cis.es. ^ "Statistics". Gobiernodecanarias.org. Archived from the original on 26 March 2010. Retrieved 26 April 2010. ^ "Spain's Repsol gets long awaited green signal to explore off Canary Islands". Spain News.Net. 13 August 2014. Retrieved 13 August 2014. ^ "Repsol completes its exploration well in the Canary Islands - repsol.com". Repsol.com. Archived from the original on 20 December 2016. Retrieved 8 December 2016. ^ "Página Web Oficial de Turismo de Tenerife; El Teide". Webtenerife.com. Archived from the original on 16 January 2010. Retrieved 26 April 2010. ^ "Número de turistas por isla en Canarias España 2017 – Estadística". Statista. ^ "Canary Islands road map: Spain – Multimap". Multimap.de. Archived from the original on 18 August 2013. Retrieved 21 January 2010. ^ "AENA statistics for 2012" (PDF). Estadisticas.aena.es. ^ "TURISTAS EXTRANJEROS ENTRADOS SEGÚN PAIS DE ORIGEN, POR ISLAS. 1997–2001". Gobiernodecanarias.org. 22 January 2003. Archived from the original on 22 January 2003. ^ "04-CAPITULO 4-2006" (PDF). Archived from the original (PDF) on 31 March 2010. Retrieved 20 September 2010. ^ a b "TRÁFICO DE PASAJE REGISTRADO EN LOS PUERTOS. 1996–2007". gobiernodecanarias.org. Retrieved 20 September 2010. ^ "Gran Canaria Train". Playa-del-ingles.biz. Archived from the original on 18 May 2010. Retrieved 26 April 2010. ^ "Hospitales pertenecientes al Servicio Canario de la Salud". gobiernodecanarias.org. ^ «La Paleontología de vertebrados en Canarias.» Spanish Journal of Palaeontology (antes Revista Española de Paleontología). Consultado el 17 de junio de 2016. ^ Lissie Wright; Brian Groombridge (1982). The IUCN Amphibia-reptilia Red Data Book. IUCN. p. 140. ISBN 978-2-88032-601-2. ^ "Cystophora cristata (Hooded Seal)". 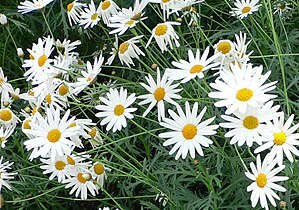 Iucnredlist.org. ^ "Calendario oficial en Canarias". Sede.gobcan.es. ^ "Programa de las Fiestas de la Virgen de Candelaria. Agosto de 2017" (PDF). Webtenerfife.ru. ^ "Candelaria se prepara para recibir en agosto a 150.000 devotos de la Virgen". Diariodeavisos.elespanol.com. 20 July 2017. ^ "Fiestas insulares de Canarias" (PDF). Ccooendesa.com. ^ "Maspalomas station". European Space Agency. Archived from the original on 8 February 2019. Retrieved 8 February 2019. ^ Alonso, Javier (25 July 2015). "El Heliodoro Rodríguez López cumple 90 años". Vavel.com. ^ "Estadio Heliodoro Rodríguez López". Lovecanarias.com. ^ "Canary Islands Stadiums". WorldStadiums.com. Archived from the original on 27 March 2010. Retrieved 1 April 2010. ^ a b c "The Canary Islands". Ctspanish.com. 21 October 1971. Retrieved 21 January 2010. ^ "Transgrancanaria (English website)". Retrieved 15 January 2018. Borgesen, F. 1929. Marine algae from the Canary Islands. III Rhodophyceae. Part II. Cryptonemiales, Gigartinales, and Rhodymeniales. Det Kongelige Danske Videnskabernes Selskabs Biologiske Meddelelser. 8: 1 – 97. Gill R and M Thirlwall (2012) "Tenerife, Canary Islands". Geologists' Association Guide No.49. Greensmith T (2000) "Lanzarote, Canary Islands". Geologists' Association Guide No.62. Binter Canarias S.A. is a Spanish airline based on the grounds of Gran Canaria Airport in Telde, Gran Canaria, Spain. It is a regional air carrier operating inter-island services within the Canary Islands. Affiliated airlines operate on behalf of Binter in services to Morocco, Portugal and Western Sahara. The Canarian Coalition (Spanish: Coalición Canaria, CC) is a regionalist, Canarian nationalist, conservative political party in Spain operating in the Canary Islands. The party aim is for greater autonomy for the islands but not independence. The party has governed the Canary Islands since 1993. It usually negotiates with the plurality party at the Cortes to form a majority in exchange for resources for the islands. It also governs the local administrations of Tenerife, La Palma, and Fuerteventura, as well as having majority control in most of the town councils on the Canary Islands. Canarian cuisine refers to the typical dishes and ingredients in the cuisine of the Canary Islands, and it constitutes an important element in the culture of its inhabitants. Its main features are its freshness, variety, simplicity, and the richness of its ingredients (which may be a result of the long geographical isolation the islands suffered), the mix of seafood and meat dishes, its cultural influences and the low knowledge of it by the rest of the world. Canarian cuisine is influenced by other cultures, specially the aboriginal inhabitants of the islands (Guanches) and Latin American cuisine (specially after the 20th-century Canarian migration to Latin America). Some African influences still prevail as well. The conquest of the Canary Islands by the Crown of Castille took place between 1402 and 1496. It can be divided into two periods: the Conquista señorial, carried out by Castilian nobility in exchange for a covenant of allegiance with the crown, and the Conquista realenga, carried out by the Spanish crown itself, during the reign of the Catholic Monarchs. The Divisiones Regionales de Fútbol in the Canary Islands are ultimately overseen by the Federación Canaria de Fútbol which operates Group 12 of the Tercera División, the fourth tier of the Spanish football league system which is divided among each of the country's autonomous regions. However, unlike most of the regions, the leagues in the fifth tier and below are organised by two separate federations, corresponding to the provinces of Las Palmas and Tenerife. The other region with this arrangement is the Basque Country which has three provincial forks to its amateur setup. Gran Canaria (Spanish pronunciation: [ɡɾaŋ kaˈnaɾja] meaning "Great [Island] of Dogs") is the second most populous of the Canary Islands, an archipelago off the Atlantic coast of Northwest Africa which is part of Spain. As of 2018 the island had a population of 846,717 that constitutes approximately 40% of the population of the archipelago. Gran Canaria is located in the Atlantic Ocean about 150 kilometres (93 mi) off the northwestern coast of Africa and about 1,350 km (840 mi) from Europe. With an area of 1,560 km2 (602 sq. mi) and an altitude of 1,956 m (6,417 ft) at the Pico de las Nieves, Gran Canaria is the third largest island of the archipelago in both area and altitude. Gran Canaria is also the third most populated island in Spain after Tenerife and Mallorca. Guanches were the aboriginal inhabitants of the Canary Islands. In 2017, the first genome-wide data from the Guanches confirmed a North African origin and that they were genetically most similar to modern North African Berber peoples of the nearby North African mainland. It is believed that they migrated to the archipelago around 1000 BCE or perhaps earlier. The Guanches were the only native people known to have lived in the Macaronesian region before the arrival of Europeans, as there is no evidence that the other Macaronesian archipelagos (Azores, Cape Verde, Madeira) were inhabited before Europeans arrived. After the Spanish conquest of the Canaries they were ethnically and culturally absorbed by Spanish settlers, although elements of their culture survive to this day, intermixed within Canarian customs and traditions such as Silbo (the whistled language of La Gomera Island). La Gomera (pronounced [la ɣoˈmeɾa]) is one of Spain's Canary Islands, located in the Atlantic Ocean off the coast of Africa. With an area of 369.76 square kilometers, it is the third smallest of the eight main islands of this group. It belongs to the province of Santa Cruz de Tenerife. La Gomera is the third least populous island with 21,136 inhabitants. Its capital is San Sebastián de La Gomera, where the headquarters of the Cabildo are located. La Palma (Spanish pronunciation: [la ˈpalma]), also San Miguel de La Palma, is the most north-westerly island of the Canary Islands, Spain. La Palma has an area of 706 km2 making it the fifth largest of the seven main Canary Islands. The total population is about 81,863, of which 18,000 (2003 data) live in the capital, Santa Cruz de la Palma and about 20,000 (2004 data) in Los Llanos de Aridane. La Palma has "sister city" status with El Dorado Hills, California. Its highest mountain is the Roque de los Muchachos, at 2,426 metres, being second among the peaks of the Canaries only to the peaks of the Teide massif on Tenerife. In 1815, the German geologist Leopold von Buch visited the Canary Islands. It was as a result of his visit to Tenerife, where he visited the Las Cañadas caldera, and then later to La Palma, where he visited the Taburiente caldera, that the Spanish word for cauldron or large cooking pot – "caldera" – was introduced into the geological vocabulary. In the center of the island is the Caldera de Taburiente National Park; one of four national parks in the Canary Islands. Lanzarote (; Spanish pronunciation: [lanθaˈɾote], locally [lansaˈɾote]) is a Spanish island, the northernmost and easternmost of the autonomous Canary Islands in the Atlantic Ocean. It is located approximately 125 kilometres (78 miles) off the north coast of Africa and 1,000 kilometres (621 miles) from the Iberian Peninsula. Covering 845.94 square kilometres (326.62 square miles), Lanzarote is the fourth-largest of the islands in the archipelago. With 149,183 inhabitants, it is the third most populous Canary Island, after Tenerife and Gran Canaria. Located in the centre-west of the island is Timanfaya National Park, one of its main attractions. The island was declared a biosphere reserve by UNESCO in 1993. The island's capital is Arrecife. The first recorded name for the island, given by Italian-Majorcan cartographer Angelino Dulcert, was Insula de Lanzarotus Marocelus, after the Genoese navigator Lancelotto Malocello, from which the modern name is derived. The island's name in the native language was Tyterogaka or Tytheroygaka, which may mean "one that is all ochre" (referring to the island's predominant colour). Las Palmas ( or , Spanish: [las ˈpalmas]), officially Las Palmas de Gran Canaria, is a city and capital of Gran Canaria island, in the Canary Islands, on the Atlantic Ocean. It is the capital (jointly with Santa Cruz de Tenerife), the most populous city in the autonomous community of the Canary Islands, and the ninth-largest city in Spain with a population of 383,308 in 2010. It is also the fifth-most populous urban area in Spain and (depending on sources) ninth- or tenth-most populous metropolitan area in Spain.Las Palmas is located in the northeastern part of the island of Gran Canaria, about 150 km (93 mi) off the Moroccan coast in the Atlantic Ocean. Las Palmas experiences a hot desert climate, offset by the local cooler Canary Current, with warm temperatures throughout the year. It has an average annual temperature of 21.2 °C (70.2 °F). According to a study carried out by Thomas Whitmore, director of research on climatology at Syracuse University in the U.S., Las Palmas enjoys "the best climate in the world".The city was founded in 1478, and considered the de facto (without legal recognition) capital of the Canary Islands until the seventeenth century. It is the home of the Canarian Ministry of Presidency (shared in a four-year term with Santa Cruz de Tenerife), as well as half of the ministries and boards of the Canarian government, and the High Court of Justice of the Canary Islands. The music of the Canary Islands reflects its cultural heritage. The islands used to be inhabited by the Guanches which are related to Berbers; they mixed with Spaniards, who live on the islands now. A variant of Jota is popular, as is Latin music, which has left its mark in the form of the timple guitar. There has been a strong connection with Cuban music, Venezuelan, Puerto Rican, and other Caribbean countries both through commerce and migration. MalagueñaOf these, the Isas, a local variation of Jota, are the best-known and most characteristic of the Canary Islands. They are graceful music, with a lot of variation among islands. In some places, a captain leads the dance and organizes others in a chain as the dance grows more and more complex. Rondalla arrangements are very common. Instruments include charangas, timples (similar to a cavaquinho / ukulele), castanets, panderetas, lauds and guitars. A peculiar ensemble in El Hierro island is made of pito herreño players (a wooden transverse flute) and drums. Some ritual dances in Tenerife island are led by a tabor pipe player. Joyful music for carnival lies to a big extent on brass bands and Latin American patterns. The Parliament of the Canary Islands is the regional legislature of the Canary Islands, an autonomous community of Spain. The Parliament has sixty members and members serve on four-year terms. The parliament is based in Santa Cruz de Tenerife, one of the Canaries' two capitals. Pico de las Nieves is the highest peak of Gran Canaria Canary Islands, Spain. Its height is 1,949 metres (6,394 ft) above sea level. The origin is volcanic (stratovolcano). On its slopes, Canary Islands Pine was reintroduced in the 1950s. Traditionally it has been established that the Pico de las Nieves is the maximum altitude of the island of Gran Canaria, but this is uncertain, since it is actually the Morro de la Agujereada with 1,956 meters, which is next to Pico de las Nieves. It is the highest elevation of the province of Las Palmas and the third highest mountain in the Canary Islands. Of the other Canary Islands, only Tenerife and La Palma have higher peaks. San Cristóbal de La Laguna (commonly known as La Laguna, Spanish pronunciation: [saŋ kɾisˈtoβal de la laˈɣuna]) is a city and municipality in the northern part of the island of Tenerife in the Province of Santa Cruz de Tenerife, on the Canary Islands (Spain). The city is the third-most populous city of the archipelago and the second-most populous city of the island. La Laguna's historical center was declared a World Heritage Site by UNESCO in 1999. In 2003 the municipality started an ambitious Urban Plan to renew this area, that was carried out by the firm AUC S.L. (Arquitectura Urbanismo y Cooperación). The city was the ancient capital of the Canary Islands. La Laguna lies right alongside the city of Santa Cruz de Tenerife, thus the two cities and municipalities form a single large urban center, linked by tram.The city is home to the University of La Laguna which is home to 30,000 students; these are not included in the population figures for the city. La Laguna is considered to be the cultural capital of the Canary Islands. Also there is in the habit of being calling the "Ciudad de los Adelantados", for having been the first university city of the archipelago. Its economy is business-oriented while agriculture dominates the northeastern portion of the city. The urban area dominates the central and the southern parts. Tourism covers the northern coast. The main industry includes some manufacturing. The industrial area is made up of the main subdivisions of Majuelos, Las Torres de Taco, Las Mantecas and Las Chumberas. In this city one finds the legendary house of the spectre of Catalina Lercaro, as well as the incorrupt body of Sor María de Jesús, and the Christ of La Laguna (Cristo de La Laguna). Another emblematic building of the city is the Cathedral of La Laguna, which is the Catholic cathedral of Tenerife and its diocese (Diocese of Tenerife). Other important historical figures of the city were Amaro Pargo, one of the famous corsairs of the Golden Age of Piracy, and José de Anchieta, Catholic saint and missionary and founder of the cities of São Paulo and Rio de Janeiro in Brazil. In 2010, after a survey, La Laguna was listed as the city with the best reputation in the Canary Islands and the third provincial capital city of Spain with the best reputation, behind Gijon and Marbella. Santa Cruz de Tenerife (commonly abbreviated as Santa Cruz (, Spanish: [santa ˈkɾuθ]) is a major city, capital of the island of Tenerife, Province of Santa Cruz de Tenerife, and capital (jointly with Las Palmas) of the Canary Islands. Santa Cruz has a population of 206,593 (2013) within its administrative limits. The urban zone of Santa Cruz extends beyond the city limits with a population of 507,306 and 538,000 within urban area. It is the second largest city in the Canary Islands and the main city on the island of Tenerife, with nearly half of the island's population living in or around it. Santa Cruz is located in the northeast quadrant of Tenerife, 210 kilometres (130 mi) off the northwestern coast of Africa within the Atlantic Ocean. The distance to the nearest point of mainland Spain is 1,300 kilometres (810 mi). Between the 1833 territorial division of Spain and 1927, Santa Cruz de Tenerife was the sole capital of the Canary Islands, until 1927 when a decree ordered that the capital of the Canary Islands be shared, as it remains at present. The port is of great importance and is the communications hub between Europe, Africa and Americas, with cruise ships arriving from many nations. The city is the focus for domestic and inter-island communications in the Canary Islands.The city is home to the Parliament of the Canary Islands, the Canarian Ministry of the Presidency (shared on a four-year cycle with Las Palmas), one half of the Ministries and Boards of the Canarian Government, (the other half being located in Gran Canaria), the Tenerife Provincial Courts and two courts of the Superior Court of Justice of the Canary Islands. There are several faculties of the La Laguna University in Santa Cruz, including the Fine Arts School and the Naval Sciences Faculty. Its harbour is one of Spain's busiest. It is important for commercial and passenger traffic as well as for being a major stopover for cruisers en route from Europe to the Caribbean. The city also has one of the world's largest carnivals. The Carnival of Santa Cruz de Tenerife now aspires to become a World Heritage Site, and is the second largest in the world.The main landmarks of the city include the Auditorio de Tenerife (Auditorium of Tenerife), the Santa Cruz Towers (Torres de Santa Cruz) and the Iglesia de la Concepción. Santa Cruz de Tenerife hosts the first headquarters of the Center UNESCO in the Canary Islands. In recent years the city of Santa Cruz de Tenerife has seen the construction of a significant number of modern structures and the city's skyline is the sixth in height across the country, behind Madrid, Benidorm, Barcelona, Valencia and Bilbao.In 2012, the British newspaper The Guardian included Santa Cruz de Tenerife in the list of the five best places in the world to live. The 82% of the municipal territory of Santa Cruz de Tenerife is considered a natural area, this is due in large part to the presence of the Anaga Rural Park. This fact makes Santa Cruz the third largest municipality in Spain with the highest percentage of natural territory, after Cuenca (87%) and Cáceres (83%). City has a status of global city (in Sufficiency category). Tenerife (; Spanish: [teneˈɾife]) is the largest and most populated island of the seven Canary Islands. It is also the most populated island of Spain, with a land area of 2,034.38 square kilometres (785 sq mi) and 904,713 inhabitants, 43 percent of the total population of the Canary Islands. Tenerife is the largest and most populous island of Macaronesia.Approximately five million tourists visit Tenerife each year, the most visited island of the archipelago. It is one of the most important tourist destinations in Spain, hosting one of the world's largest carnivals, the Carnival of Santa Cruz de Tenerife. Tenerife is served by two airports, Tenerife-North Airport and Tenerife-South Airport. Tenerife is the economic capital of the Canary Islands.The capital of the island, Santa Cruz de Tenerife, is also the seat of the island council (cabildo insular). The city is capital of the autonomous community of Canary Islands (shared with Las Palmas de Gran Canaria), sharing governmental institutions such as presidency and ministries. Between the 1833 territorial division of Spain and 1927, Santa Cruz de Tenerife was the sole capital of the Canary Islands. In 1927 the Crown ordered that the capital of the Canary Islands be shared, as it remains at present. Santa Cruz contains the modern Auditorio de Tenerife, the architectural symbol of the Canary Islands.The island is home to the University of La Laguna; founded in 1792 in San Cristóbal de La Laguna, it is the oldest university in the Canaries. The city of La Laguna is a UNESCO World Heritage Site. It is the second city most populated on the island and the third in the archipelago. It was capital of the Canary Islands before Santa Cruz replaced it in 1833.Teide National Park is also a UNESCO World Heritage Site and is located in the center of the island. In it, the Mount Teide rises as the highest elevation of Spain, the highest of the islands of the Atlantic Ocean, and the third-largest volcano in the world from its base. Also on the island, the Macizo de Anaga (massif) has been a UNESCO Biosphere Reserve since 2015. 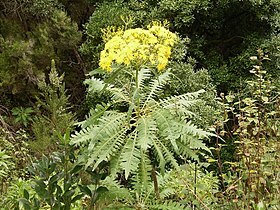 It has the largest number of endemic species in Europe. Unión Deportiva Vecindario was a Spanish football team based in Vecindario, Santa Lucía de Tirajana, Gran Canaria, in the autonomous community of Canary Islands. Founded in 1962, it held home games at Estadio Municipal de Vecindario, with a capacity of 4,500. This is a list of alleged sightings of unidentified flying objects or UFOs in the Canary Islands.